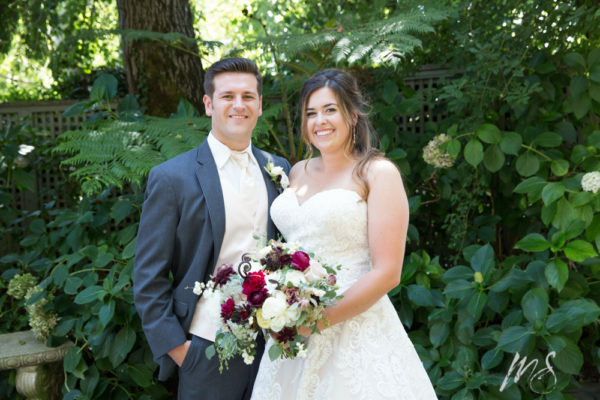 On a stunning September day, Veronica and Thomas had their gorgeous wedding ceremony and party at Vine Hill House. Breathtaking views of vineyards and apple trees. Filtered sunlight coming through towering redwood and oak trees. And a sweet little guest house surrounded by beautiful gardens with lush hydrangeas and ferns. 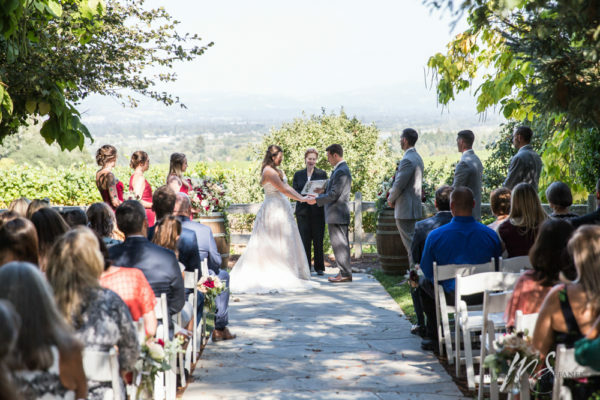 Vine Hill House is truly a romantic and beautiful venue. Not to mention that the crew, Dan, Jan and Dawnyel, are awesome to work with! 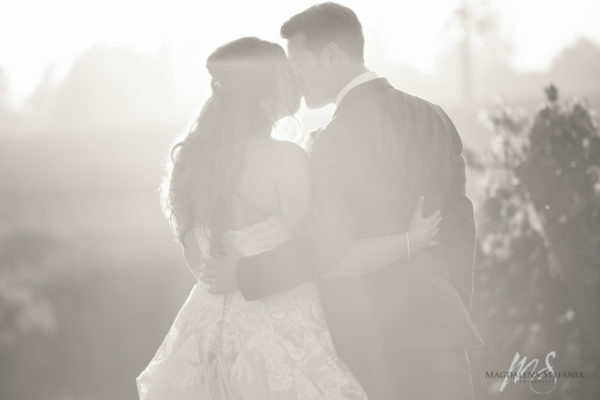 Magdalena Stefanek Photography captured all of the lovely photos from the day. Maggie is a dream to work with: a skilled artist in the industry who’s friendly, professional, and fun. She does such an amazing job of making people feel at ease and ensuring that not one special moment is missed. Veronica processed in for the ceremony to the piano/cello version of “A Thousand Years” by The Piano Guys. Wrapping up the ceremony to head into their reception, the new Mr and Mrs processed out to September’s “Earth, Wind & Fire”. 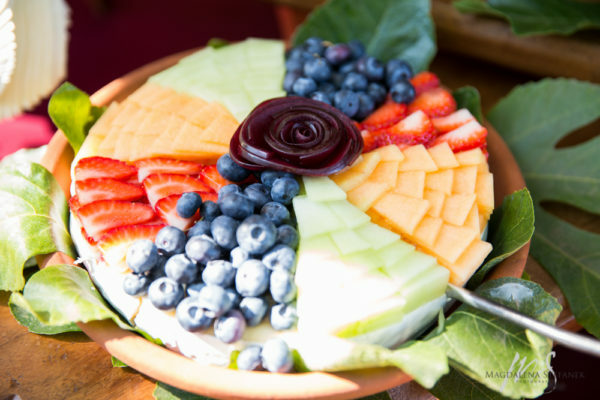 While listening to music from John Mayer to Motown for cocktails and dinner, guests enjoyed delectable food from Trends Catering. Using seasonal, quality ingredients, Trends always does an excellent job of providing delicious food and exceptional service. “Millionaire” by Chris Stapleton was Veronica and Thomas’ song choice for their first dance together as husband and wife. 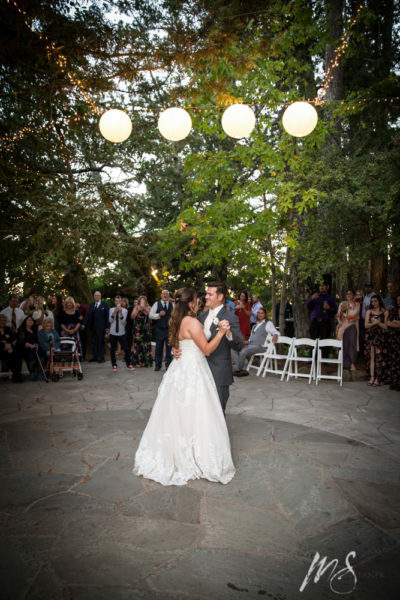 Afterwards, Veronica danced with her dad to “Into the Mystic” by Van Morrison and lastly, Thomas danced with his mom to “My Wish” by Rascal Flatts. 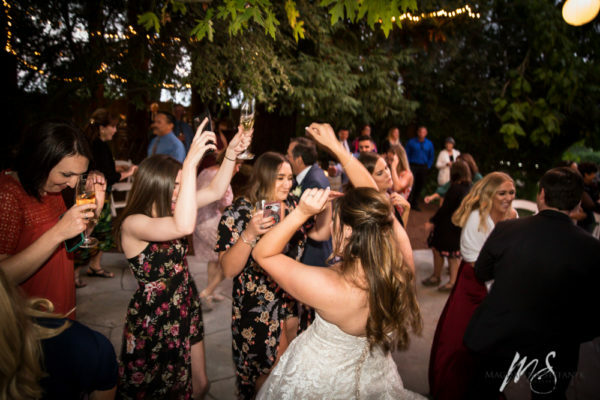 Wedding Dance Party with DJ Andy! At last it was time for the dance party! DJ Andy did not disappoint- he had the dance floor hopping all night long, despite competition from a fun photo booth. 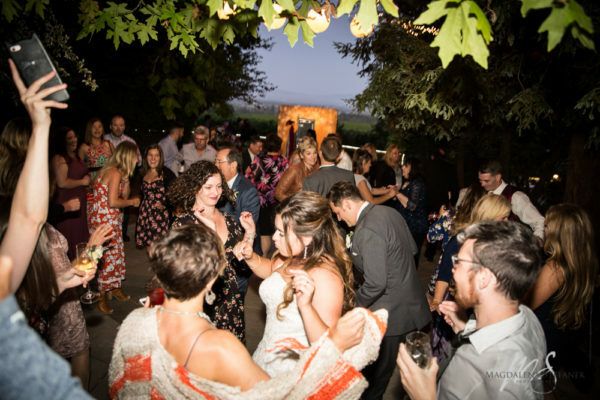 Andy mixed songs like “Love On Top” to “Best Day of My Life” and created an awesome playlist that guests clearly loved. Congrats Veronica and Thomas!! Thank you for letting us be part of your special day at Vine Hill House! 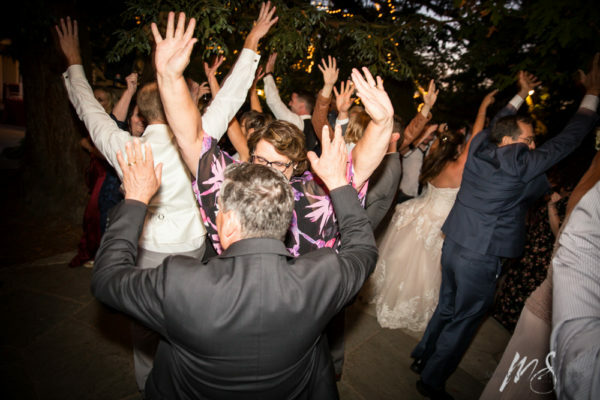 Like to have an amazing playlist and packed dance floor for your wedding? Then contact AMS Entertainment by email or phone at (707) 823-7359. Make it EPIC. Make it YOU! Let’s get the party started. Call, text 707-823-7359 or fill out this short form to check availability, rates or just ask a question, and we’ll get back to you crazy fast. Subscribe to our newsletter to receive the latest on all things AMS!